To further the understanding of John Lautner’s architecture and his principles. 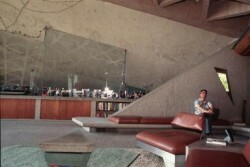 To maintain and operate the professional and personal archives of John Lautner. To provide a center for scholars, architects, and visitors interested in the work of John Lautner, and to establish ongoing communication for all individuals interested in the architecture of John Lautner. To make available material from the archives of John Lautner for exhibitions, publications, educational events such as, but not limited to, lectures, seminars, and workshops. 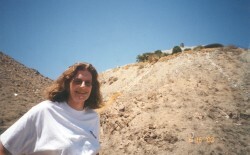 To serve as a respository of resources for Lautner homeowners, and, where possible, to provide support in the preservation and maintenance of Lautner buildings. To obtain funding to support these goals. While we seek grants and other support from government and educational institutions, this type funding is for specific projects and can rarely be used for the regular expenses of the Foundation. For mailing and other clerical costs, for the expenses involved in hosting an event, for preservation activities, we must rely on limited archive fees, gifts, and memberships. See this article for a description of how the Foundation operates.